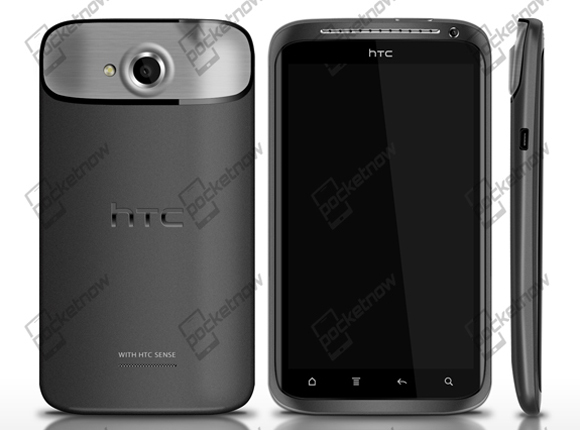 HTC to announce the quad-core Endeavour at MWC? We received word of HTC's quad-core monster back in November and not much has changed, except for two key points. Firstly the name, the device we've been calling the HTC Edge now looks to be adopting the name Endeavour and more importantly, the HTC Endeavour will make its first official appearance at MWC in the coming weeks. Aside from the new name, the purported specs of the Endeavour remain unchanged with that all important quad-core Tegra 3 chip clocked at 1.5GHz powering a 4.7" 720p HD display, an 8MP camera complete with an f/2.2 lens and 1080p video capture capability. There's also a gig of RAM and 32GB of inbuilt user-storage, presumably with a microSD slot offering expansion of another 32GB, but at this stage, that's an estimated guess. Radio wise, we'll see quad-band support, 21Mbps HSDPA speeds but there's a strong chance we'll receive LTE functionality too. Naturally such a device will come running the latest version of HTC's UI overlay, Sense, running atop Android Ice Cream Sandwich 4.0. HTC's CFO, Mr Winston Yung explained that moving forward, his company would be looking at different component suppliers. Tying that into to Nvidia's claims of a quad-core menagerie of devices expected to appear at their MWC booth and the progression to Tegra 3 is obvious, along with the increasingly frequent leaks regarding this device. We've already seen the potential of quad-core mobile devices, courtesy of the Asus Transformer Prime, but as HTC look to be the first with a quad-core phone on the market, we can't wait to get our hands on it. Quad?Even the server and most desktop OSes/apps hardly use 2 or more cores.Pure sand in the eyes.GL wasting your money on quad.